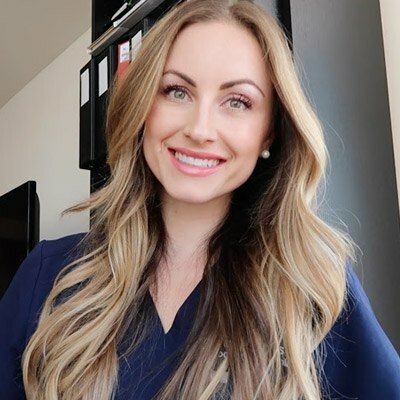 Dr. Prokopets is originally from Poltava, Ukraine, but she grew up in Scottsdale, Arizona. She is a fourth generation female dentist in her family and saw the impact that dentistry had on patients’ overall wellbeing from a young age. Early on, she decided to dedicate her life to becoming an exceptional dental provider. After completing dental school and earning her DDS at Marquette University, Dr. Prokopets went on to train at one of the most prestigious and advanced hospitals in the country, Columbia University-New York Presbyterian Hospital. During her training at Columbia, she obtained advanced training in General Anesthesia, Emergency Medicine, and Oral Surgery. Her desire to focus on dental implants continued as she proceeded to complete a three year residency and Master’s degree in Periodontics and Implant Dentistry at Louisiana State University. Dr. Prokopets is trained in all aspects of implants, including esthetic implant surgery, bone grafting, sinus elevation, microsurgery, esthetic gum grafting, and full mouth rehabilitation. Dr. Prokopets further completed LASER training and certification, which includes the use of lasers in gum recontouring, treatment of aphthous ulcers, periodontal disease, and peri-implantitis. Dr. Prokopets is Board Certified in both Periodontology and Dental Implant Surgery.